One of the many issues that you’ll need to handle when you stop vaping is the physical dependency on nicotine, an addictive chemical. Introduced into the lungs as vapour, nicotine is absorbed through the lungs, and in just a matter of seconds is sent to your brain. Over time, vapers develop a dependency on nicotine and must maintain a certain level in their body or they experience physical withdrawal. 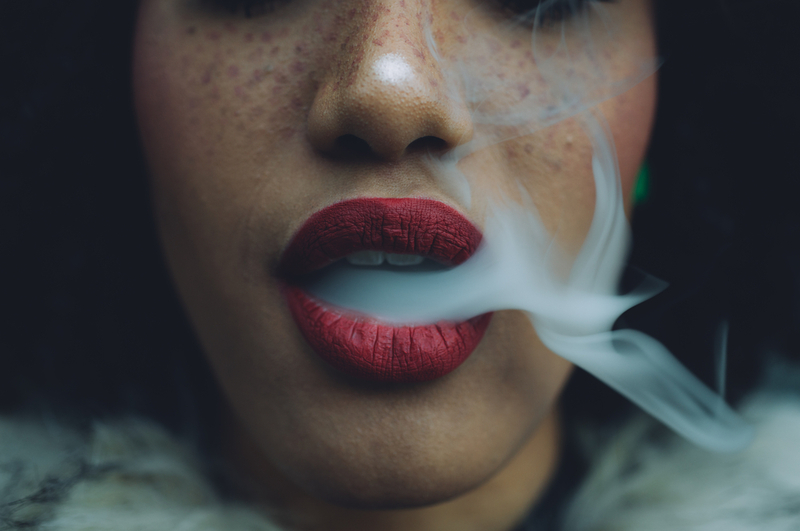 Initially nicotine stimulates the feel good chemicals in your brain, but when the effect your last vape wears off, the level of nicotine in the body drops, so goodbye feel good chemicals, and you experience some mild discomfort. This discomfort shows up as an urge for the next vape, which relieves the discomfort and starts the process all over again. Each time you vape you set up the need for the next vape. It's a vicious cycle of dependency! This self-fulfilling cycle of alternately stimulating and depressing the brain is the hallmark of a chemical addiction and results in a myriad of distressing habits and psychological issues. Because of their frequent bad experiences in trying to quit, many vapers develop a fear of failure and are unwilling to attempt to quit again, and they blame all that on nicotine. However, chemists tell us that the half-life of nicotine in the human body is only 2 hours. This means that your liver, which is constantly cleansing the blood of impurities, removes 50% of the nicotine in your blood within 2 hours after your last vape. After 4 hours, 75% is gone and after just 8 hours (a good night's sleep), 97% of the nicotine in your body has been removed and finally, after 72 hours, your body is fully cleansed of nicotine! 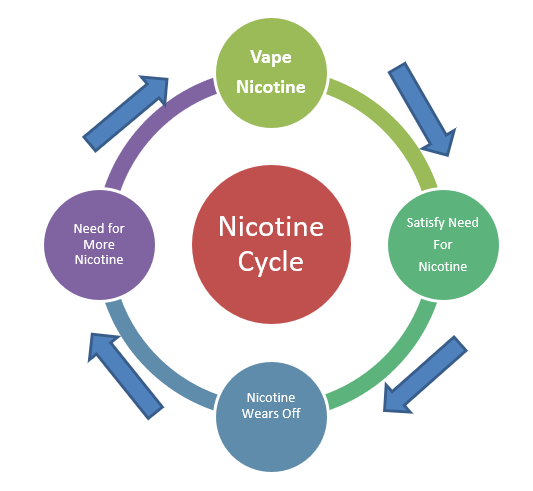 For sure, nicotine plays a part in stopping vaping, and there are several aspects to the success of the copyrighted, VAPENDERS approach that contribute to making the elimination of nicotine relatively easy and surprisingly painless. To accomplish that painless removal of nicotine, we insist that you continue to smoke for the first 29 days of our step-by step program. During that time, even though you continue to vape, as you follow our copyrighted approach to nicotine fading you can be assured you won't climb the walls on the day you finally crush vaping.